It is very important for us to understand the direction in which the meat-processing industry develops. OOO NPP "Tehinserv" always strives to keep pace with the times, taking experience from the world's leading manufacturers. And in May of 2016, an event will take place, which we waited for 3 years. World forum for meat processing enterprises. From manufacturers of food equipment, spices and ingredients, to processors, dealers and many many other meat market participants. 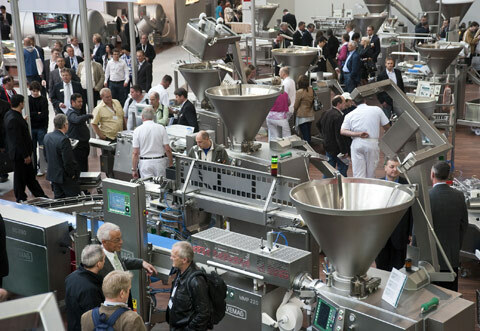 The IFFA, which is held once every 3 years in the Frankfurt exhibition complex, is the world's premier event for specialists in the field of equipment and technologies for the meat industry. Subjects of the exhibition cover the whole range of practical issues and will be of interest both to representatives of large companies and to specialists in small production and workshops. IFFA-Delicat: finished products and delicacies; The organization of restaurants and shops.